Another timely guest post by Jessica Deltoro…check out her fine work at Daydream Events by Jess! 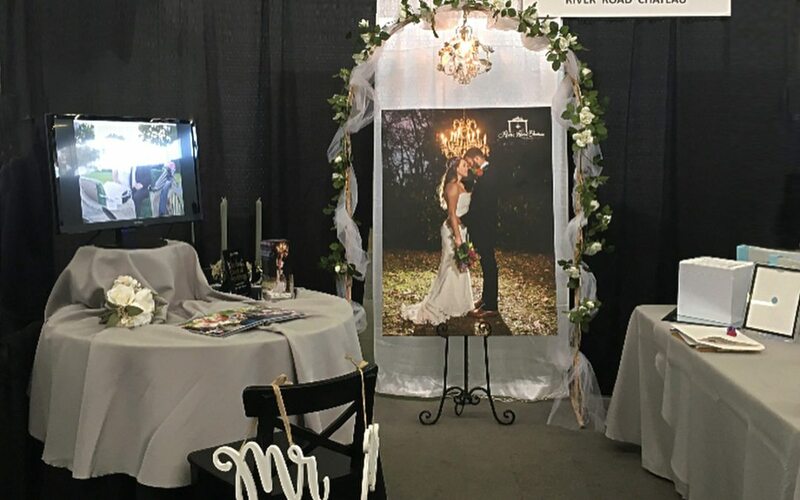 My hopes are that this post will help you get the most out of your time at a bridal show and hopefully provide you with some useful insight. First thing you need to do before even setting foot at a bridal show is make a list of the type of vendors you actually need. If you have been planning for awhile, chances are you only need a few. Find out which ones and only focus on those vendors at the bridal show. If you are just starting out in your planning, the first vendors you will need to focus on are the venue, your wedding planner, & your caterer. Yes, the dress hunt and cake is fun, but first things first. The venue you decide to have your wedding at will determine many things. For example, some venues require you use vendors from their preferred list while others will allow you to pick and choose vendors that you want. Its for this reason venues need to be #1 on your list. If they haven’t already started, you will soon notice wedding related emails will start to trickle into your inbox. Create an email account specifically for your wedding info. That way all your vendor info, contracts, quotes etc. can all be kept neatly in one spot. While you may be tempted to bring along all your girls and family members, you should limit it to just a select few. Buy some printable sticker labels. Print them off with your contact info, & wedding date. Bring a few of these with you to help save time when it comes to filling out the vendor forms. Depending on the size of the bridal show, there can be anywhere from 60-600 vendors in attendance. This is where that list comes in handy. Stay Focused! It may be tempting to sign up for every chance to win a free prize or special deal, but limit signing up at a vendors booth to only when you’re actually interested in booking them or getting more information on their services. By signing a contact form at a vendors booth, you are saying you are interested in being contacted by them and you will be contacted by them. Avoid having your inbox overflow with emails for services you aren’t interested in and stick to the list of vendors you created. Because bridal shows have so much to see & they’re fun & exciting, it’s not difficult to get wrapped up in all the glam and food tastings. After you have left the show and you have a bag full of cards and brochures, you might find you can’t recall which florist it was that you really liked or what they had specifically that you wanted. Bring a pen and notebook. Take down notes about what you see that you like, names of the vendors you like and what you like about them or their booth. These are my tips to getting the most out of your bridal show experience. Good luck and remember most importantly, HAVE FUN!